hd00:08Dinner by the candlelight on the beach. A table for a romantic dinner. On the shore near the island of Sveti Stefan, in Montenegro. 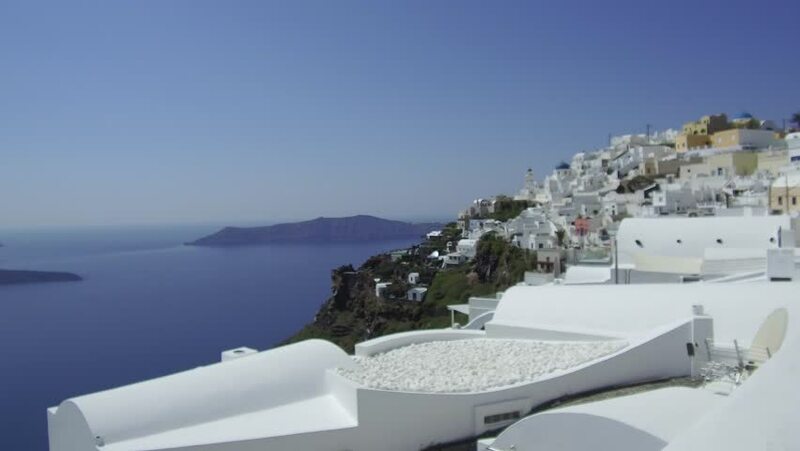 hd00:14Blue domed churches and white-washed houses in the village of Oia on the edge of the volcanic caldera on the island of Santorini in Greece. hd00:12SANTORINI, GREECE 2012 Deck chairs sit on a beautiful balcony in the Greek Islands.